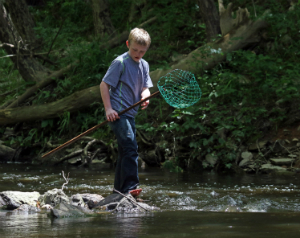 Recreation in Moore County is an embarrassment of riches. With so many options for all ages, it’s hard to know where to begin. Let's start with the sport that really put the area on the map. You can expect Moore County, as the Home of American Golf, to offer access to some incredible courses—and that’s definitely the case. Most anyone with a set of clubs knows we’re home to the world-famous Pinehurst Resort and its nine outstanding courses for all skill levels. Course No. 2 has hosted several U.S. Open Golf Championships. But in addition, Moore County has almost 40 other incredible courses for residents and visitors to enjoy. AmateurGolf.com visited one of our great public courses, Pine Needles and Mid Pines, and created this great video showcasing the course! To learn more about the area golf courses, visit the Pinehurst, Southern Pines, Aberdeen Convention & Visitors Bureau. Moore County’s sandy soil has long been a powerful draw for horse enthusiasts. From steeplechases to dressage, there are all kinds of events to keep spectators busy. And for those not content to let others have all the fun, there are plenty of places to get out and gallop. A few of our larger attractions include the Pinehurst Harness Track, McLendon Hills Equestrian Center, and the 4,000-acre Walthour-Moss Foundation land preserve. With Moore County located in the Sandhills, you might not expect to find many lakes here, but for water lovers like fisherman, kayakers, wake boarders and sunbathers, there are actually dozens of lakes with an incredible range of shapes and sizes. Not all allow powerboats, but that’s actually a good thing! There are a number of great parks in Moore County, but none quite like Weymouth Woods. With walking trails and an Exhibit Hall, this 900-acre nature preserve offers a glimpse into the unique flora, fauna, and ecosystems that make the Sandhills of North Carolina unique. With so much open space including woods, fields, ponds and lakes, you can be sure there are great opportunities for hunting and fishing. We won’t discuss any secret spots, but there’s nothing secret about the 1100-acre Moore County Gamelands near Carthage, or the massive 60,000-acre Sandhills Gamelands. For those that like to stay at the top of their game, but have no more room in the storage freezer, there are some outstanding Sporting Clay facilities in and around Moore County. One of the largest facilities nearby is Deep River Sporting Clays and Shooting School. For more information about additional recreational opportunities, be sure to visit the Convention and Visitors Bureau website and the Sandhills Area Land Trust (SALT) website.